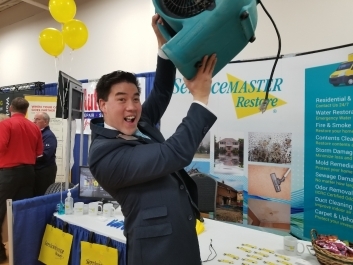 From the many angles and perspectives of your chamber's events, instantly turn your members into a fleet of mobile photographers and videographers. 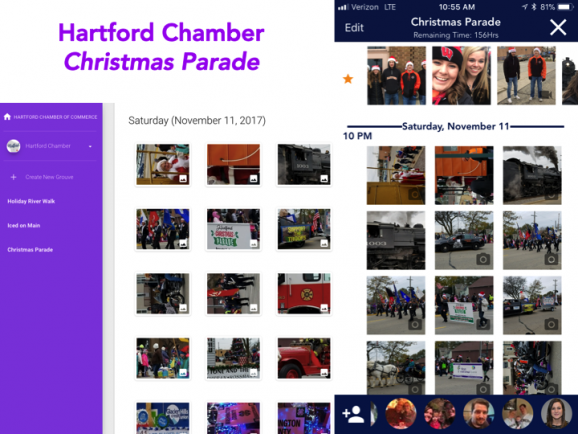 While you're busy running the actual events, all photos and videos are made available for your chamber's own marketing and communication purposes. 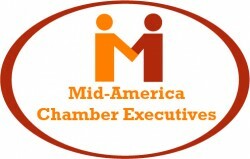 Recognize your members, and tell the story of what your chamber is doing in the community. 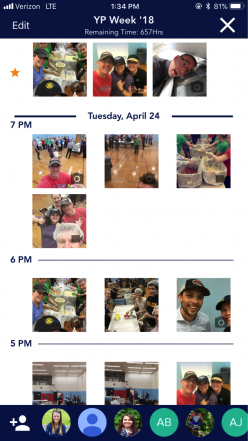 A nice glimpse into the opportunity when using the grouve app at events, activities, and programs.... the Greater Burlington Partnership (IA) is the creative genius behind this 2-minute explainer video, intended to inform and engage their members, ultimately driving photo/video-taking activity. Leave your mark on the event. grouveMark - Powerful watermarks that can be applied to photos throughout the event. Further brand your chamber, further brand your event, and add an element of creativity/context to the content. No, we can't print your chamber money, unfortunately. 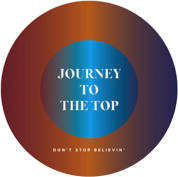 But our platform can help you creatively FUNdraise through the in-app grouveMark feature. Create visibility for your event sponsors by offering them grouveMarks. Sell as a new sponsorship package, or as a value-add to an existing package. Perfect for events, programs, and activities of all shapes and sizes. Susan G. Komen Wisconsin's 2018 events line-up. 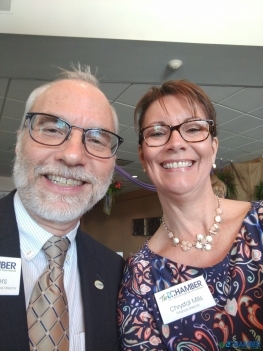 Other Chambers "in the grouve"
I have witnessed the effect the app has had on our industry allowing small and large Chambers to solve an age-old question… “Did anyone get photos of that event?”. 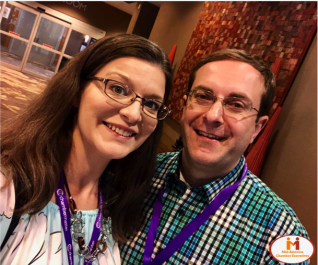 The app adds value not only by assisting in the promotion of our events, but also by bringing our members and event attendees together. 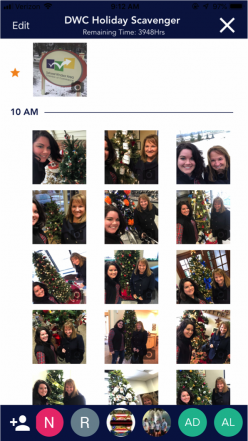 Using the app allows the Chamber to promote FUN! 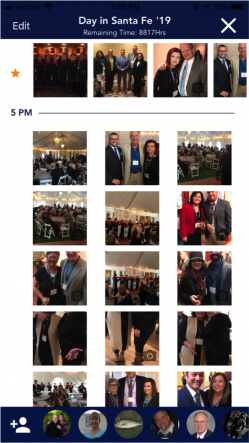 through photos and videos while engaging attendees at the events. The app provides a great tool for a staff of limited size to access a great volume of content for use across many marketing channels. 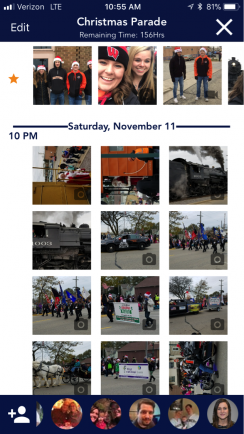 By encouraging participants to use the app, photos and videos were available for marketing purposes in real-time, from all corners. The app has gone over extremely well. 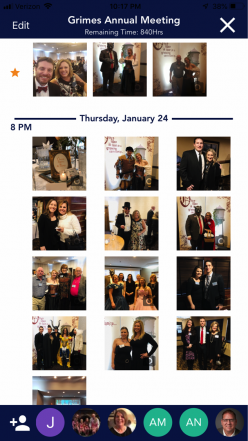 We have a great collection of photos from our last couple of events. I’m looking forward to continued use. 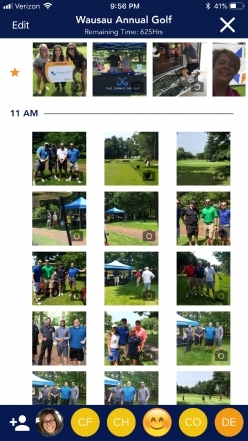 "We captured far more photos than we ever would have without the grouve app! Just as importantly, our members told us how easy it was and user-friendly, and several of them have inquired how they can use it as well"
Copyright © 2019 GrouVe LLC. All Rights Reserved. 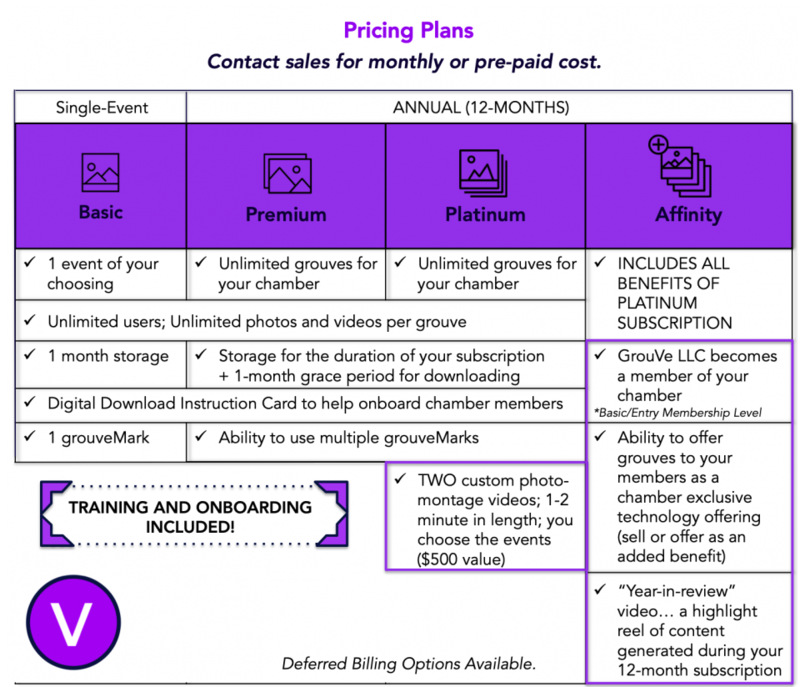 For more information on Annual Subscription and Single Event Pricing Plans, please fill out the form below and someone from our team will reach out. Note, once your event(s) are activated, the app is a free download for you and your event-goers.